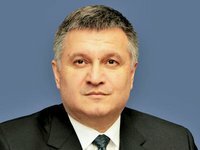 Ukraine's Interior Minister Arsen Avakov has told law-enforcers to respond toughly to possible frauds during the presidential elections scheduled for March 31 related to absentee ballots cast in western Ukraine. The following situation could be one of the potential dangers of falsifying election results: "Voting in the localities in small towns of western Ukraine instead of people who are now working abroad," Avakov said at a meeting of top law-enforcement officials on Monday in Kyiv. "I draw attention of each of the policemen and border guards present, that the person who issued a bulletin to a relative or friend ... and we will have a certificate from the Border Guard Service that this person was [at a specified time] abroad, but there is a fake signature and a bulletin was issued - this is a criminal case, which can be proved in three seconds. This is immediately a prison term," the minister said. Head of the State Border Service of Ukraine Petro Tsyhykal assured the minister that he would take control of this issue and take all measures to prevent this kind of crime.